At the household level, any consumer unwittingly becomes not only "just the buyer", but also a commodity: a competent reading some labels and labels requires specific knowledge. It is primarily concerned with decoding articles - conventional digital and letter designations assigned to the product to identify it. Articles like codes, organizes accounting of goods and sales documentation, accelerate the execution of orders, to facilitate the study of demand. The need for systematization of information about a particular product depending on the needs of production of products and their promotion. This requires the classification (article one of her characters) is conducted on the most significant characteristics of the goods (raw materials, properties, etc.). Understand a basic concept about the goods. They are divided into consumer (i.e. for private use, including food, nonfood and medical), manufactured goods (for the production of other goods) and office automation (management and administrative). The hierarchy of all these products multistage: genus, class, group, subgroup, species, variety (brand, model, size, etc.). Systematically set out in the national classification of products (OKP), the names of which are reflected in the figures in the articles. A brief article often called conditional characteristics of the product, indicating its special characteristics. For different groups of products, the characteristics will always be different. For example, for a specific Shoe models will be substantial: the technology of production, design and purpose, the material from which the product is made. According to GOST the first letter of the article of footwear signifies the purpose of the product and the production method, the second and the third appearance of the skin. This is followed by figures: a kind of shoes, it kind of fixing method. The letter after the numbers is a designation of color material from which made the top. However, most modern Shoe production facilities (including in Russia) waive the strict rules detailed encoding of the article to simplify it. Rules for the preparation of articles of fabric. For example, linen, the first two digits of the code - characteristic groups of cells, which is a reference to its purpose or the type of output. The third digit - sign subgroup and characteristics of the fibrous fabric. Ie, if the third digit of the article number is 2, it means: semi-fabric. Fourth and further figures may vary (this is the sequence number of the fabric). For example, article 08101 means: multi-colored canvas, linen. Manufacturers have fixed your naming of articles. Here is an example of decoding article gloves is one of the Western European factories. The first three digits represent the model of the product, for example 001-199 - this men's gloves, 200-599 ladies. Next, the fourth and fifth digits define the materials of the samples. For example, the velour has code 04, the pig skin - 09. The sixth digit of the article number (1 to 8) detects the material (type) lining. The number 1 will stand wool, 3 coy sheepskin, 8-coy - Mouton. The last digit is the color, but the numbers are indicated only in two variants: 1 means black color, 3 - all other colors. Seeing the label of gloves article 8001323 you with merchandise or special directories decipher the following information: before you - the women's gloves from the crack-lined silk brown. Articles of original products are determined by specialized manufacturers ' catalogs. Aftermarket products such as spare parts, are different from major articles, which are also approved by the manufacturers, but in these cases, the price lists are made of the cross-connect - mapping according to the original numbers unoriginal. The word "article" is of Latin origin. It goes back to the root "articulus" which means "section, article". The everyday meaning of the word - type of product, its brand or code. SKU is a number or letter designation of the goods for your reference. In modern accounting it is used for the organization of the account and movement of goods in the company. The provisions on accounting (PBU 5/01) allow the company to keep records in a convenient manner, choose items so to ensure the proper control over availability and movement of inventories. By order of the Ministry of Finance of the Russian Federation No. 1 dated 26.12.94 G. N 170 "About the situation in accounting and reporting in the Russian Federation" specifies that records of goods and their movement the organization shall maintain in physical gauges. Consider the type of goods, quantity, monetary value. Primary accounting documents, inter alia, should contain the date of preparation and the content of economic operations.Very often in the trading organization receives identical product under different name. In order not to get lost in the abundance of names and mass of the parish, the company has the right to create their own internal article and assign it to a particular type of product. For the account of the goods in the warehouse shopping enterprise, it is important to insure the amount and quantity compliance (MF of the Russian Federation No. 34n dated 29.07.98 p. 9). Therefore, for ease of accounting of goods in the company, you can assign your on-farm article similar goods. To do this, when you receive the invoice and make a posting receipt form number M-4, and assign your article received the goods. On the basis of receipt voucher no. M-4 make a change to the accounting program. For this, go to "Configuration" 1C, the option is "item master". locate the "Properties", then "article". Assign product article according to your income order. Preparation of N order M-4 is necessary because the absence of verification by tax authorities may result in fines and offsetting input VAT. With a small turnover is a simpler way. For example, to assign the SKU of the product, in the 1S in the directory "Nomenclature", the field "Name for the element" add to the name of the item, its article. 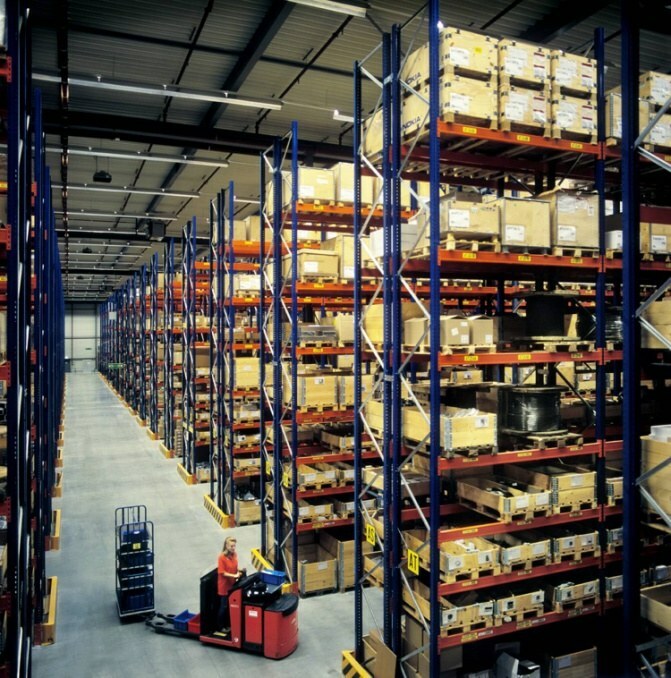 Parts enterprises are recorded in a separate database. It is convenient that when you receive a frequently recurring goods, the operation of the account of his arrival is greatly simplified.